The accommodation is completely new, but the rustic feel and architecture of old town Zemun is preserved. We offer you 8 spacious rooms, from private with its own bathroom, to six bed room with shared baths. You can also use cozy common lounge and a kitchenette. 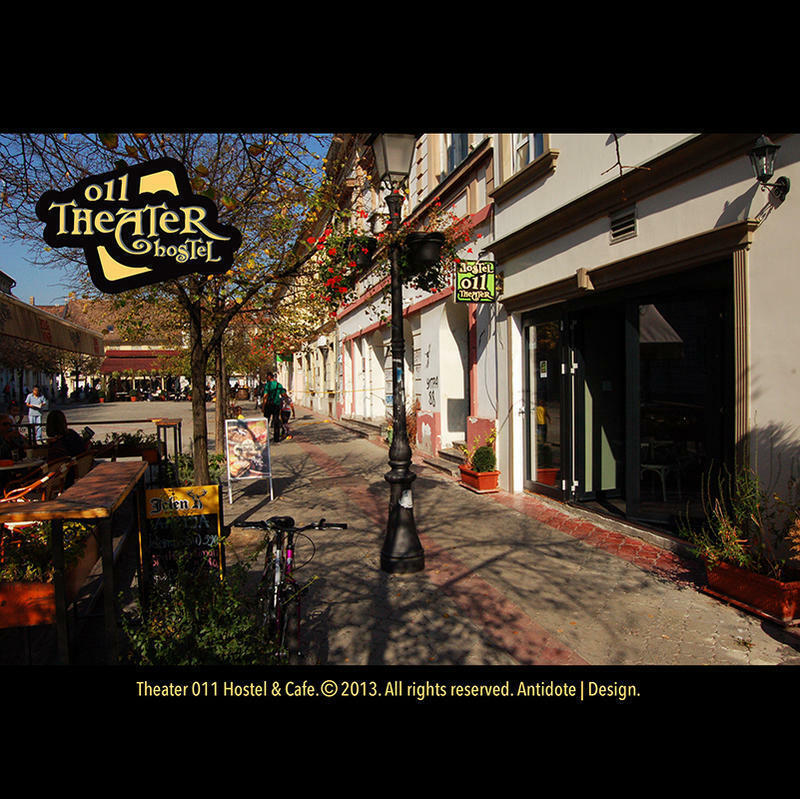 In our hostel there is also a coffee shop 'Theatre', where you can enjoy in pleasant atmosphere and free Wi-Fi. In an arrangement with a nearby restaurant (10 m from our hostel ), we provide space for business meetings, seminars, business or individual lunches, with a special discount for our guests. Taxes - local tourist tax cost 1,30 € per day per person is NOT included in the price. Take bus No 83 (15 minutes). Buy your ticket at the newsstand (2oo dinars for the plastic card + 73 dinars for one ride) or in the bus (ca 150 dinars for one ride) Exit on the 10th stop, continue straight and turn right at the first semaphore. Walk till the end of the street and turn left into the pedestrian zone. In the middle of the street is our hostel. The taxi station is also next to the bus and railway station, take only official cabs with name and number on the top. It will cost you max 1000 dinars (10€). Take the public bus no.72 in front of the airport (around 50 minutes). This bus runs approximately every 30 minutes from 05:20 until 00:00 every day. Tickets bought on the bus are 150 Dinars, tickets bought from a newsstand are 73 Dinars . This is the cheapest way, but also includes a bit of walking and taking another buses. Exit at the Cityhouse of New Belgrade, cross the street and take bus No 17,73 or 83 in the Zemun direction. Exit on the 6th stop, continue straight and turn right at the first semaphore. Walk till the end of the street and turn left into the pedestrian zone. In the middle of the street is our hostel. We recommend to take a cab. It will cost you max 1500 dinars (15€).